During your search to find the perfect cosmetic and skincare products for your unique skin type, you may have come across the terms “non-comedogenic” and “comedogenic.” So what do these labels actually mean, and are they important when searching for the best products for your skin? Find all of the answers you’re looking for here! First, it’s helpful to understand what comedogenicity means. The root word, comedo, refers to any type of blocked pore, including blackheads, whiteheads and acne lesions, although not all comedos will lead to acne. In the case of blackheads and whiteheads, you may never see a red acne bump appear on your skin, but these comedos can still create an uneven skin texture and an overall unwanted appearance. Comedogenic ingredients, then, are those that have been shown to clog pores and lead to blackheads, whiteheads or acne. Acne.org provides a helpful list of some of the most common of these pore-clogging ingredients, which include laureth (i.e. sodium laureth sulfate), isopropyl isostearate, lanolin, soybean oil, coconut oil and others. It is important to note that just because a certain skincare or cosmetic product may contain one or two ingredients that are considered to be comedogenic doesn’t mean that the entire product is therefore comedogenic. It does, however, need to be formulated in such a way that renders the product as a whole non-comedogenic. A good rule of thumb, though, is to check the list of ingredients on each product that you currently use. 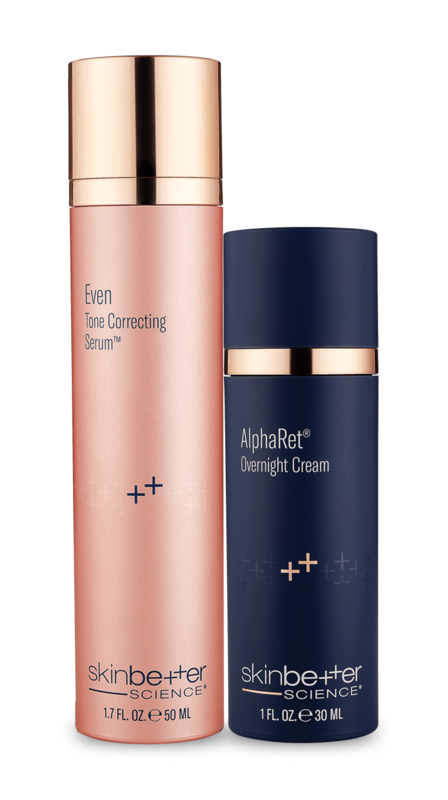 If all or nearly all of the first five or so ingredients are comedogenic, that product is likely to clog pores. On the other hand, if you see one or two comedogenic ingredients listed toward the end of the list, you may not want to toss out that product just yet. Another thing to take a look at is what’s known as the comedogenicity scale, which rates cosmetic ingredients on a scale from 0 to 5, where 0 is completely non-comedogenic, and 5 is highly comedogenic (Beneficial Botanicals). If you see that many of the ingredients in a particular product are rated at a 5 or 4 on this scale, you may want to avoid it. On the other hand, having a few 1, 2 or even 3-rated ingredients included in a product may be just fine to use. This, of course, also depends on how sensitive or acne-prone your skin already is. If you know that your skin tends to be very sensitive, look for products labeled as “non-comedogenic” to help ensure that they will be gentle enough for your skin’s needs. Also look at the comedogenic ratings for the first several ingredients listed. 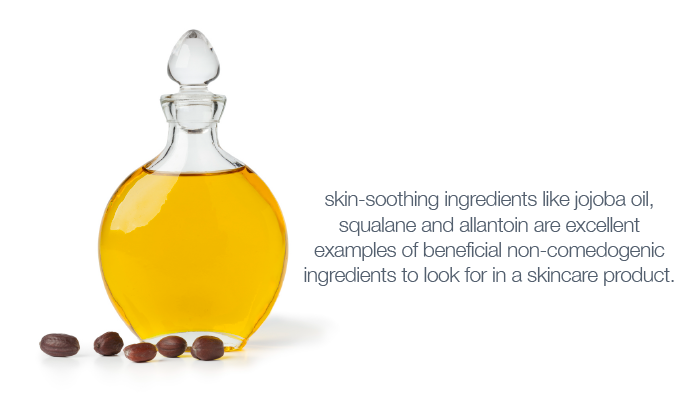 Moisturizing and skin-soothing ingredients like jojoba oil, squalane and allantoin are excellent examples of beneficial non-comedogenic ingredients to look for in a skincare product. All skinbetter science products are non-comedogenic, fragrance-free and dermatologist-recommended, so taking a look at these products may be a good place to start if you’re planning to overhaul your skincare routine to avoid clogged pores. Even better still, these moisturizing ingredients can help to rebalance your skin’s natural oil content for a glowing and healthier look and feel to your complexion. Finding the gentlest and most effective skincare products can be difficult enough as is, let alone for those with sensitive or acne-prone skin. To help avoid getting even more clogged pores, double check your current cosmetic products and their ingredients to see if you may need to upgrade to non-comedogenic alternatives.